With the release of the iPhone 7 and 7 Plus, Apple has beckoned for the death of the headphone jack. they are curiously shipping out their latest phone with a pair of Lightning headphones instead. the AirPods are on par with most wireless headphones in terms of audio quality. If you see yourself getting a new pair of wireless earbuds to go with your new iPhone 7 or 7 Plus, you can save yourself some money by considering the wide variety of non-Apple, non-Beats wireless headphones out there. Or you can just go for the best sound possible. Sennheiser is one of the top audiophile headphone brands out there, and now with the Momentum 2.0, you have a taste at some of this audio in glorious sounding wireless if you can afford it. At $500, these cans make the AirPods’ price tag look laughable, and the same can be said for their audio quality. 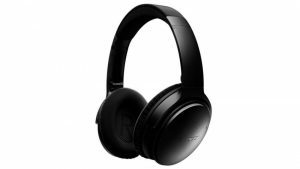 But as long as you don’t mind the less portable form factor of these plush over-ear headphones, they have a lot of quality features to offer. The leather ear pads are incredibly comfortable, and the headset is lightweight with minimal chance for listener’s fatigue. Unlike with earbuds, the Momentum’s earcups can make your ears awkwardly warm during prolonged listening, so there are still obvious benefits to a smaller pair. The noise cancelling is not too harsh on this headset. There is no audio hiss, and the feature definitely helps when you want to just focus in on the music. Despite this solid noise cancelling, the speakerphone feature of this device has an overly sensitive microphone and easily picks up background sound. Focusing in on the music reveals a very rich and full sound, playing on a wide frequency spectrum of 16Hz – 22kHz. The audio is clean with tight bass that does not get too boomy or spill into the mid-range sounds. It is, however, slightly EQ-boosted, which gives the sound just enough warmth at the cost of accuracy to the recording. Otherwise, highs are just right, neither too bright or too flat, and stand out fantastically for lyrical and acoustic music. Sadly, iOS devices lack aptX support to make higher-bitrate wireless streaming possible, so true hi-fi heads will be wanting to plug these headphones in via their optional 2.5mm mini jack to get the best effect. But there is still something to be said for a headphone that doubles as your on-the-go and at-home listening option. The low-end is balanced and not overpowering, so lead vocals and bass blend without issue. Music of all genres sounds quite nice through these earbuds, but because of the somewhat weakened highs, are not the best choice for detailed listening. The advantages of this headphone style are fairly obvious, as you can easily slide these into your pocket next to your iPhone. But do they still sound as accurate as the over-ear alternative? The short answer is no. But let’s talk about why they’re still a great option anyway. Like the AirPods, the S10s rely on a magnetic charging case to keep the two units in one place when not in use. The case also allows you to charge the battery of each earpiece at the same time. The pair gets you nine hours of listening time, with up to four additional recharges available from the cradle’s own battery. Each earbud will automatically pair with one another when turned on. They each have controls for volume and tracking. One has a built-in mic for phone calls. All components covered in a sweatproof coating that makes them great for long runs. The BÖHM earbuds come with three different sets of ear hooks and tips, which help stabilize the buds in your ear canal. Once you choose the ear hooks for a proper fit, the earbuds provide an excellent seal, which greatly enhances the overall sound. In the sound department, the S10s score fairly high marks with respect to their price range and smaller drivers. The midrange is clear and detailed, even though the very high end can be a little harsh. Nonetheless, their compact form factor makes them a major convenience for day-to-day use. And those who are usually bothered by cords running along their necks or stiff headbands will not have to worry about the S10s. 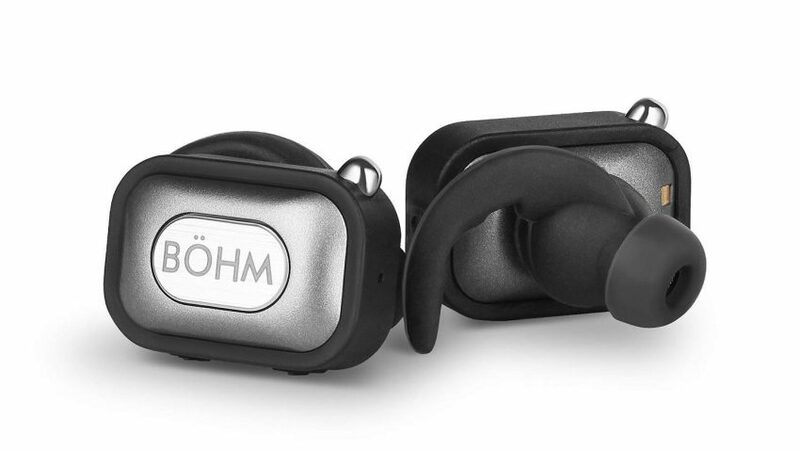 Ultimately, the BÖHM’s S10s provide about the same audio quality as the AirPods for half the price. But the truly wireless market is just beginning to grow, so you may soon see another contender of the same form factor take the crown. Their versatility is unmatched, as they have an optional 3.5mm cable for wired listening, plus a Bluetooth dongle to connect to older PCs. The only situation that these headphones fall short in is when you want to stow them, as their somewhat bulky design does not fold up for storage. The BackBeat PRO+ headphones have one full-size dial for volume on one ear cup and one for tracking on the other. These controls are so intuitive, that even a tech novice could figure them out. There is also a button to enable the active noise cancelling, which works quite well at blocking out loud environments. Even with this feature active, you can get about 24 hours of playback from one battery charge. The BackBeat PRO+ keeps pace in terms of sound too, with 40mm drivers that deliver a clear and rounded sound signature. The mids and high are accurate, bringing forward vocal subtleties and vivid percussion hits. The low end is nice and present too, but somewhat muddled by a boomy mid-low frequency. It is a small hump in the waveform though, and the low sub otherwise packs a tight thump. The Bluetooth boasts an incredibly long range as well, not that your particularly likely to stray far from your iPhone. Altogether, the BackBeat PRO+ isn’t the best in any one category, but offers a well-rounded listening experience that delivers on all fronts. These small and durable earbuds are excellently designed, down to their liquipel hydrophobic coating. The headphones are even backed by a lifetime sweat warranty. The buds are connected with a tangle-free flat cable with inline controls for Bluetooth pairing power, and volume. Because they are on the connecting cable, these controls end up somewhere behind your ear, but while slightly hard to reach, are still very useful. And although the X2 saw a fair amount of improvement in fit and ergonomics, the sound has remained about the same as the for original BlueBuds X. This is by no means bad news, as the BlueBuds are among the best sounding earbuds out there, with a rich and punchy sound that is clear at any volume. Because these in-ear headphones are powered by 6mm drivers, they will not beat the presence and volume of an over-ear pair of cans. Still, the X2s remain a contender for one of the best sounding fitness headphones out there. 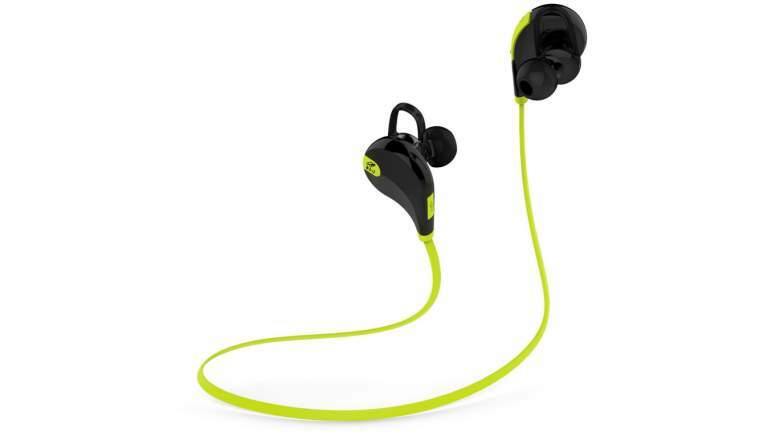 These headphones are lighter than their previous model, and sport a new synthetic leather band. Overall, they are very comfortable, as they stay in place without clamping down on your head too hard. 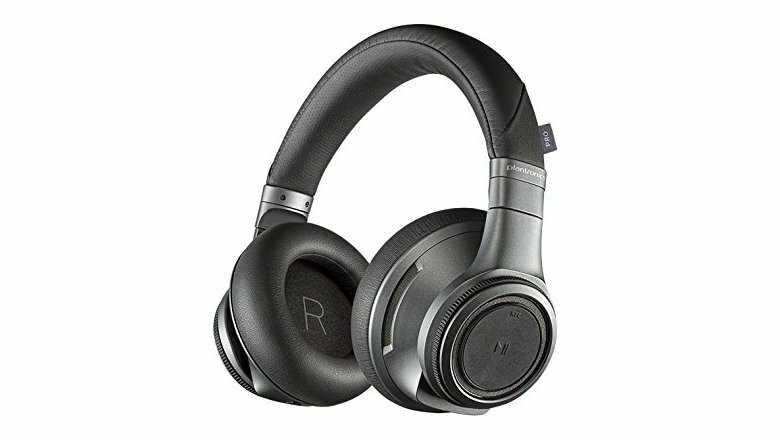 You will, however, definitely still take these guys along wherever you need peace and quiet, as its noise cancellation outperforms other brands by a long shot. There is no tweaking on this noise cancellation, just set it and immediately escape to your musical happy place. The headphones eliminate virtually any background sound, be it the murmur of an office, the rumble of nearby traffic, or construction going on next door. There is no hiss or negative coloration of the audio. As for the actual audio, the QC35s sound great, with a slight low-mid EQ bump that makes the Bose Signature Sound. The mids drive the sound forward, but the bass has plenty of room for lower extension. You rarely get distortion in the low end. The highs are crisp as well, and will vary in presence because of the headphones’ volume-optimized EQ, which cuts frequencies as you raise volume to balance your sound. This obviously doesn’t lend well to making a track in Garage Band, but works fine for just listening to some music. 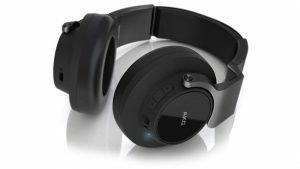 The right earcup has integrated controls for volume, play/pause, and tracking, and the headphones contain a battery that offers twenty hours of playtime from a single charge. All around, the Bose QC35s are great headphones, and a must-have for commuters seeking tranquility. For many, the idea of putting any headphones into your pocket triggers PTSD-like memories of tangled cables and broken earbuds. 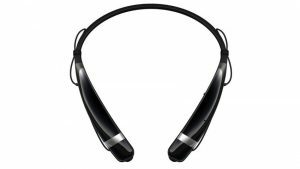 But the all-day listener now has the option to wear a comfortable neckband to keep their headphones handy when you need them. 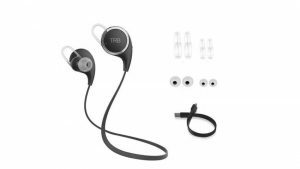 The Tone Pro HBS-760 is one of the best value headphones that LG has to offer, providing great audio and usability at a great price. The unit is lightweight, and after wearing them a while, you can easily forget they are hanging on your neck. The built-in microphone on these headphones is clear and well-positioned, making this a fantastic device for hands-free calling as long as you aren’t in a particularly windy area. The battery life offers about eleven hours of audio playback, or about sixteen hours of talk time. If you pick the ear tips that give you the best seal of the three included, you will be quite pleased with the sound on these headphones. The lows, mids, and highs remain in balance across different genres and listening volumes. The sound quality does not quite match that of LG’s Tone Infinim, which is a step up in power and price. Compared to the Infinims, the bass of the HBS-760 falls a little short, but it is still a fine sound for what it’s worth. Despite the Reflect Mini’s extra mini 5.8mm drivers, these headphones put out a fairly present sound with a high max volume. Their sound signature is balanced, but still fun to listen to. Highs are crisp, while the mids and low-end are prominent and clear. These headphones have inline volume controls and a built-in mic for answering phone calls. Their battery life is eight hours, which is decent, but could be better. 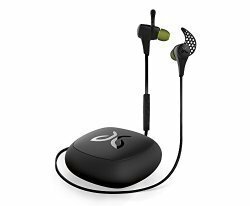 The SoundPEATS Qy7 is a go-to pair of budget Bluetooth earbuds that offers durability and good sound for a price that is hard to beat. The distinct color of its flat cable is matched by the onboard controls, which are fairly manageable. The build quality is fairly durable and sweat-proof as well, except the plastic cover over the Micro USB charger is rather flimsy. Its five hour battery life is serviceable, but does not compare to higher end headphones well. Considering the price, the Qy7 sounds fairly rich and full across its highs, mids, and lows. Like other speakers that aim for long-term use, these headphones have a V-shaped sound curve, with punchy and present lows against crisp highs. The sound is balanced but does not stand out as uncharacteristically good. The speakers do not get loud, but this is not needed if you use the right ear tips for a proper fit. Doing so greatly improves the isolation of the sound, especially on phone calls. Phone calls are so-so anyway, as the mic is placed too far from your mouth to give good outgoing sound. 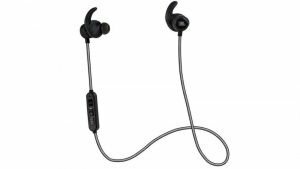 Overall, the Qy7s are a great budget pair of Bluetooth earbuds, and you would have to spend quite a bit more to find a significant upgrade. With respect to the technical limitations of wireless streaming, the sound on the AKGs is about as good as wireless audio gets. If you are looking for a highly accurate option for portable listening, this is a great option. but their sale price of under $12 makes these headphones a game-changer for anyone looking for a cheap alternative to Apple’s tinny Lightning EarPods. Its plastic build isn’t anything special, but it does have controls for tracking and volume built into the two earpieces. It also has an integrated mic for phone calls. These headphones seem sturdy enough, but their connecting cable isn’t as high quality as other brands’. But the Tribe headphones do stand out for the seal on their different included ear tips and stabilizer hooks. These silicone tips ensure a snug and secure fit, which is key for delivering accurate and clear audio. The highs are crisp, with very little harshness or brightness. The sound is more delayed from the phone than usual, but this will only matter if you are using them to play mobile games or watch a video.